DonB! is a “professional goofball”. 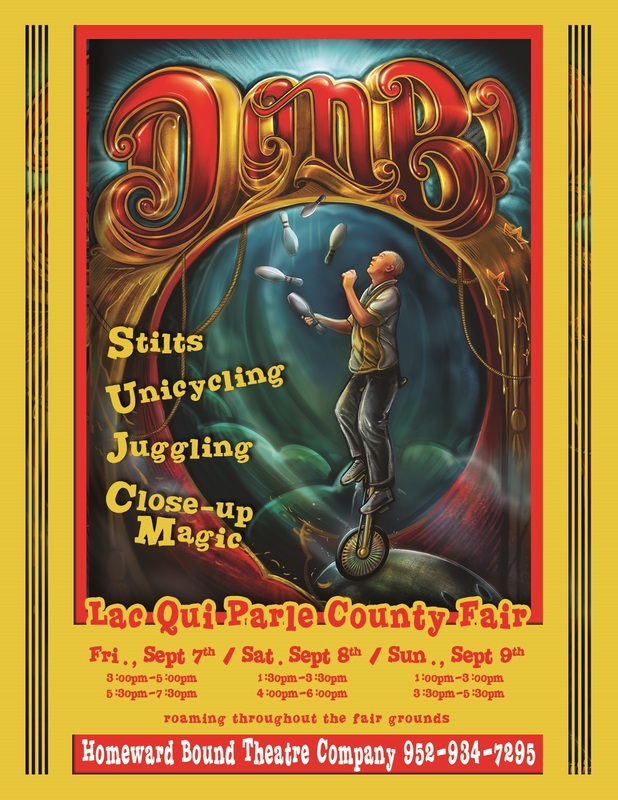 He mixes comedy with unicycles, juggling and the art of illusion. DonB! is a two-time national unicycling champion who has worked with The Variety II Review, Ringling Brothers & Barnum & Bailey Circus as well as Disneyland Corporation. Don and his beautiful wife, Debbie, began their comedy work as Circus Unique in 1988. After 11 years, he now presents adult and family entertainment as “DonB! Entertainment” coordinating over 250 events annually around the United States and Canada. Friday, September 7th from 3 p.m. to 5 p.m. and 5:30 p.m. to 7:30 p.m.
Saturday, September 8th from 1:30 P.M. to 3:30 p.m. and 4 p.m. to 6 p.m.
Sunday, September 9th from 1 p.m. to 3 p.m. and 3:30 p.m. to 5:30 p.m.